In Part One of our adventure, The Comics Cube! took a rollicking tour of the Marvel Universe and its creation in the 1960s. We described the effects of the Marvel heroes such as the Fantastic Four and the Amazing Spider-Man, the Mighty Thor, and the Incredible Hulk, and showed how it turned superhero conventions on its ear. We also named the three major architects of this movement: "The King" Jack Kirby, Steve Ditko, and "The Man" Stan Lee. Lee, of course, is the name most people associate with the characters, the reason being he was the writer. Sound reasoning. 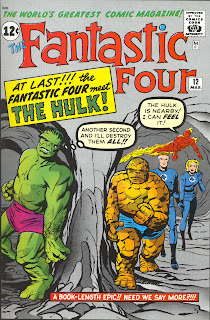 In Part Two of our grand expedition, we outlined the Marvel Method of writing and showed that when it came to writing, Stan Lee should share the credit with his artists, since they did a bulk of the writing as well. Okay, so now we've established that Stan isn't the writer most people think he is. He still came up with the stories, and it's important that we give proper credit to Stan as well as to Jack and Steve. Okay, what about Stan being a creator? We know that Jack Kirby and Steve Ditko get credited as creators when you go see a Marvel movie, but what you might not know is this is a recent development. Stan decided that they should, in fact, get co-creator credit. But does Stan mean it? Here's an interview with him by Jonathan Ross in the documentary "In Search of Steve Ditko." Here's the thing. I get both sides. I do. I really do. If this were a TV show, the guy who came up with the idea and the treatment would be labeled as the creator. But here's the thing - before you can cast an actress to play a part, you have to have already defined the part. Additionally, we can say that Joss Whedon created Buffy, but Sarah Michelle Gellar is Buffy. Plus, with TV, it's all semantics - crediting the actors is crediting them already for bringing these characters to life. So it's not the same thing. In the case of these comics, Stan Lee may have said "Peter Parker is a geeky teenager who gets bullied and then gets Spider-powers," but it's Ditko who had to draw him, make him come to life, show the world what kind of geeky teenager he is. You can't really define his personality before you see him come to life, which is illustrated by the fact that it was only after they were already created with looks and model sheets that Stan and Jack and Steve could really flesh out the characters of, say, the Silver Surfer, the Fantastic Four, and Spider-Man. And in that case, Stan really needed Jack and Steve to bring these characters to life. Now, Stan could say that "Well, if it didn't succeed, then I would have created something unsuccessful," so he's at least consistent in his view, but just like a baby isn't born until it gets out of the womb, I don't think a comic book character is born until it's on paper. So on that note, I do side with Steve Ditko here. He and Jack took Stan's ideas and brought them to life. In that sense, I think Jack and Steve really do deserve the lion's share of the credit for the creation of individual characters. Ahhhh, but we're talking about creating the MARVEL UNIVERSE here, aren't we? 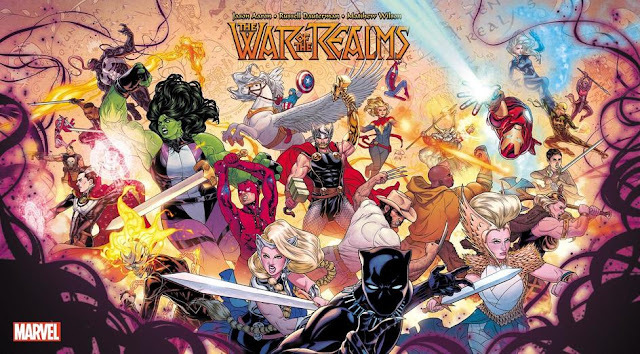 We're not just talking about creating the characters individually, which Kirby can (and did) forever, but in making the Marvel Universe a real shared universe. See, while Superman met Batman every now and then, and while the Justice League of America, you know, existed, DC Comics did feel as if it was a bunch of people having separate adventures, and then meeting at the secret clubhouse every once in a while. But in Marvel Comics, when Spider-Man made the news, people reacted. Note the reactions in AMAZING SPIDER-MAN #18, when Spider-Man makes headlines for being a coward. Or, logically, in this universe, where the US Army is trying to catch the Hulk, who would they go to? 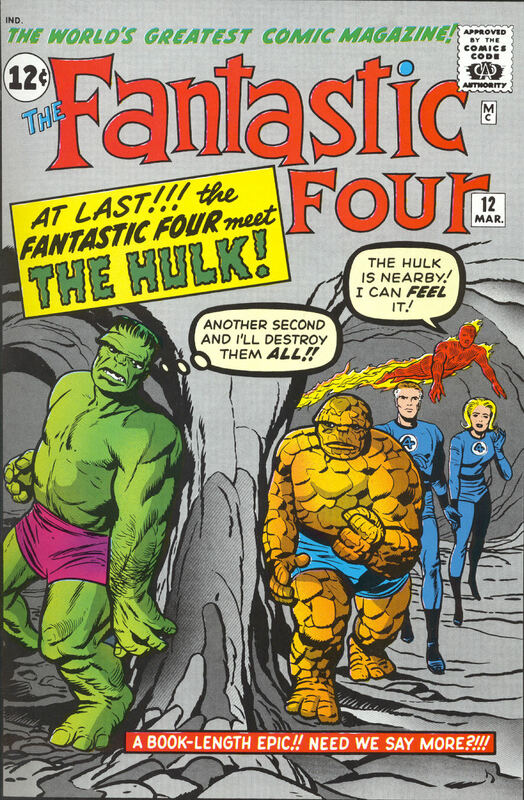 That's right, you go to the then-premiere superteam, the Fantastic Four! 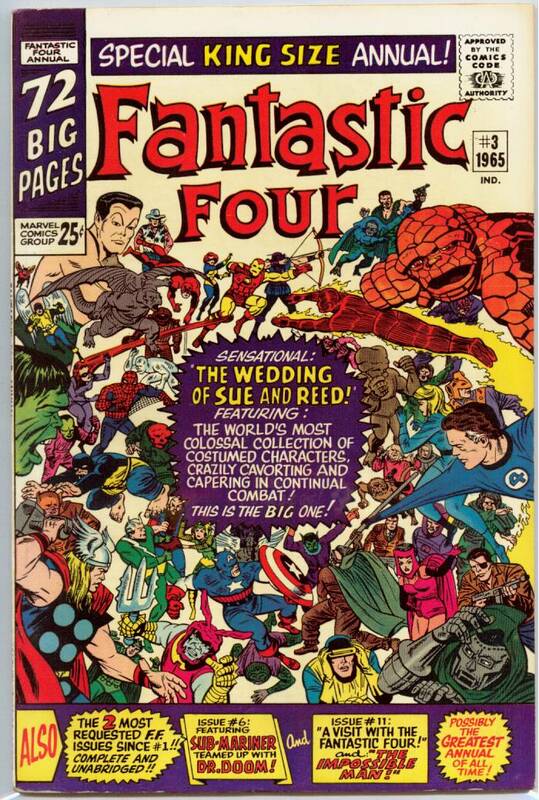 Or, probably the best example, when Reed and Sue Richards got married, guess who showed up? Uh, yeah. Everyone. Marvel continuity was so incredibly tight (which provided the impetus for Kurt Busiek and Alex Ross' MARVELS), which really set it apart from DC and was one of the reasons why Marvel started overtaking DC as the leading publisher in comics. Although continuity has since then tended to become more of a crutch than a tool, classic Marvel used it plainly as a tool, something completely cool and different. And for things to be kept straight (and straight they were, even if unbelievably tight - there's an example in MARVELS that shows that the wedding of Sue and Reed had to take place on the same day as the coming of the Sentinels and the attack on the mutants in X-MEN, but it could fit [and in fact, it made it more resonant]), it required one thing: coordination. And in this case, that coordinator was the guy who had his hands on all the titles, co-writing them all and editing them all, and that was Stan Lee. Oh, I'm not saying things were seamless and there were no plot holes, but when you read them, as a big picture, it's really a case of the whole being greater than the sum of their parts. No matter how much of any individual characters Stan actually created, he was the one unifying the books with a distinct voice, using his narration style and his particular brand of dialogue on these characters, just like it was, for the most part, Kirby's distinct style and storytelling techniques that unified the core books of this universe, with Steve Ditko filling in where Jack's style was inappropriate (Spider-Man and Dr. Strange). This was a great, great team. The characters in the Marvel Universe are the most famous characters ever created by ANY of the three of Lee, Ditko, and Kirby, in large part because Stan knew when to step back and let his artists tell the story, and he knew when to step in and humanize these characters. I mean, without Stan, Spider-Man may have been scripted by Steve Ditko, and trust me when I say that that's not something you want. Ditko's dialogue is very didactic and stilted, and often fails to hide his politics, which are very extreme. Kirby's dialogue was more organic than Steve's, but it also never really flowed like Stan's, which is another reason why, I believe, that nothing Kirby ever created was ever as famous as the ones he did while he was working with Stan, and vice verse. This entire thing was a collaborative effort. Ditko and Kirby did the bulk of the individual storytelling, and Stan's voice and coordination unified the line and made the Marvel universe the MARVEL UNIVERSE. In addition, Stan would write columns inside the comics called "Stan's Soapbox," where he'd talk to the reader in his jovial, friendly manner, using catchphrases such as "Face front, true believer!" 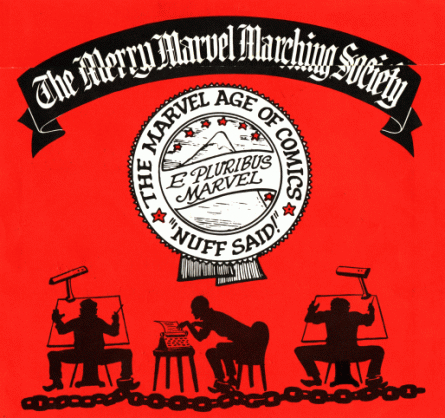 and "The Mighty Marvel Age of (insert anything relevant to the topic here)" and "Marvel Comics - the House of Ideas!" or, most famously, "Excelsior!" and "'Nuff said! ", the latter of which is used by everyone. That's how widespread Stan's influence was. Stan knew back in 1965 just what social media experts would get today: that it was this kind of engaging with the reader that Stan specialized in that gave Marvel an extra oomph, the extra punch needed to really make it feel like a clubhouse. Whereas today, the comic book community at large feels like an exclusionary clubhouse, Stan's manner and demeanor made it sound like ANYONE was welcome in the club, as long as you loved comics and loved the Marvel Universe. And it worked. Stan's Soapbox lasted until 2001, and to this day I get people saying things to me like "True Believer" and "Excelsior." It seems that kids, everywhere, read Stan's Soapbox. Stan was just that gripping. 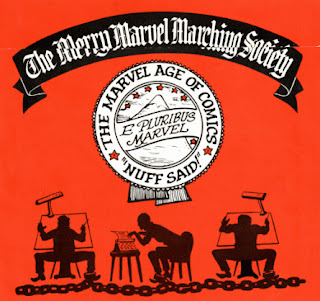 The perfect example of Stan's marketing genius was the Merry Marvel Marching Society, an actual Marvel fan club! Listen to the theme song here. Even if he's not the writer he's often credited to be, Stan was the editor, coordinator, promoter, marketer, advertiser, and unifier of Marvel Comics. Steve and Jack brought the individual pieces, and Stan was the glue, and I think that comics geeks have been bashing Stan Lee now just as unfairly as non-comics readers have been giving Stan too much credit. At the end of the day, the Marvel Universe was a concerted team effort, and the final product was one that could only be achieved by that wonderful, unique, and incredibly combination that was Stan Lee, Jack Kirby, and Steve Ditko. To say that any one of them was more important than the others is a disservice to all three men, and a disservice to history. Comics fans have never seen a trio such as that before, and I doubt that comics fans will see a trio such as that ever again. Thus concludes the Comics Cube! 's look at the creation of the Marvel Universe. Do you agree? Disagree? Let me know! Hold fast, true believer. I concur, really 1 person can't create something as massively successful as the Marvel Universe (regardless of if I ever read their books). Stan used a method that worked for him and his artist, a more dictatorial approach probably would not have worked with Steve and Jack, and we'd be poorer for it. Yep, the unified voice that Stan and Jack provided (and Steve, who was filling in Jack's blanks) is the reason Marvel continuity is so tight, tighter than any comic book universe before or since. Hey, Great stuff! You've created a great resource for comics fans and aspiring artists and illustrators. 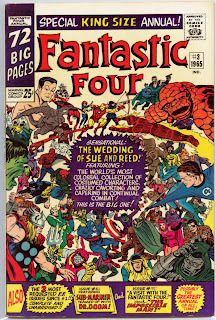 I'd look at Marvel Comics of the 60s on par with The Beatles. With the Beatles, you can see that John Lennon loved the spotlight, but his music really popped working with McCartney, Harrison, and Ringo. I think that holds true with Marvel. Lee, Kirby, and Ditko created something fun, innovative, and original at the time. Just as we still have the legacy of the Beatles today, we have the legacy of Marvel Comics today. If you think about it, it shows that two heads are better than one, and the value of teamwork. Everyone wants to be the star and get the fame and fortune, but nobody gets there alone.